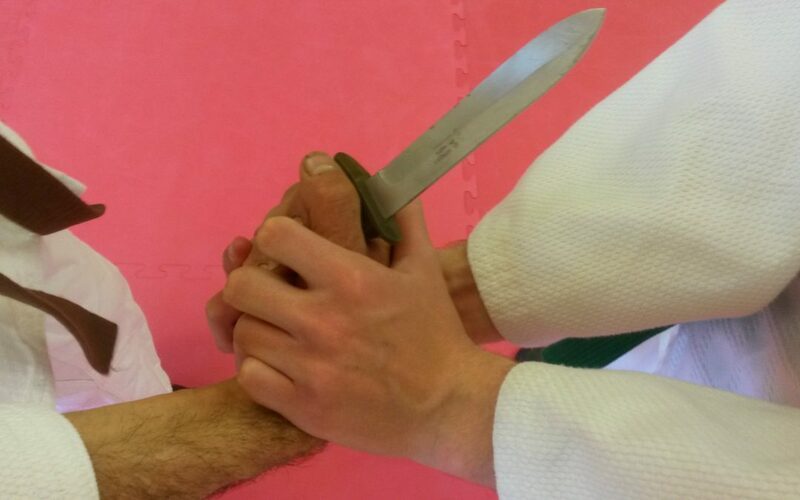 A special women self defence course is run by Ichinen Bridport martial art school. Location: Bridport, British Legion Hall, Victoria Grove. We train on soft mats. This is a very special offer to teach all interested women self defence and the very affordable fee is introduced to attract as many participants as possible. The price is inclusive teaching materials, insurance and a personal certificate. For 11 teachings (each 1.5 hours) please pay £ 49.00 at the first session you join. Please arrive a little bit earlier oat the first session to register for your insurance. Book your place via the Ichinen Bridport Facebook page https://www.facebook.com/Ichinenbridport/ on messenger or phone/text Master Horst on 07968-235486 directly. If you have any questions please don’t hesitate to ring Master Horst. The course runs over 11 evenings. Every women who is interested in personal self defence is welcome. You don’t need any previous experience. The course is designed that you can join at any of the 11 teachings as it will be ongoing. We look forward to see you at the first lesson, but in general it is possible to start at a later session. The idea is that each student takes part in those 11 trainings. For example, if you join teaching no. 4 you run through the course from 4 – 11 and than ad no 1 – 3 afterwards. This way it will be very flexible which ever date you join the teaching. arm/hand grips – power workout – weapons > natural and unnatural – a brief look at various martial arts > Karate, Jiu-Jitsu, Kung Fu, BlackCombat, Judo. Each participant receives a certificate after she took part in all 11 teachings. The course includes full insurance. Master Horst is certified in 1st aid and DBS registered. Places are limited to 10 participants at a time.